Hi my darlings! 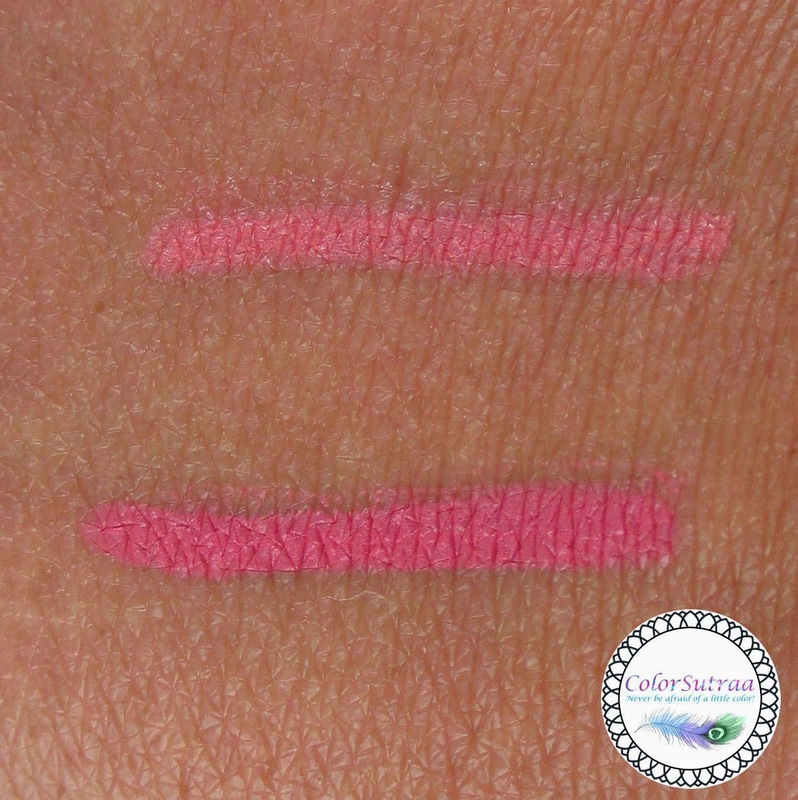 A couple of weeks ago, I showed you some gorgeous cream blushes that were introduced as part of Jordana Cosmetics' new additions for 2015--you can read all about them HERE. Well, today we'll be talking about pencils--eyeliners, lipliners, chubby lip crayons, eyebrow pencils and heck, even the odd lipgloss. So, are you ready to get started? IMPRESSIONS : Let me just begin my saying how much my mother LOVES these eyeliners--every time I go to India I have to cart back BUNCHES of Jordana's liners for her! Why? 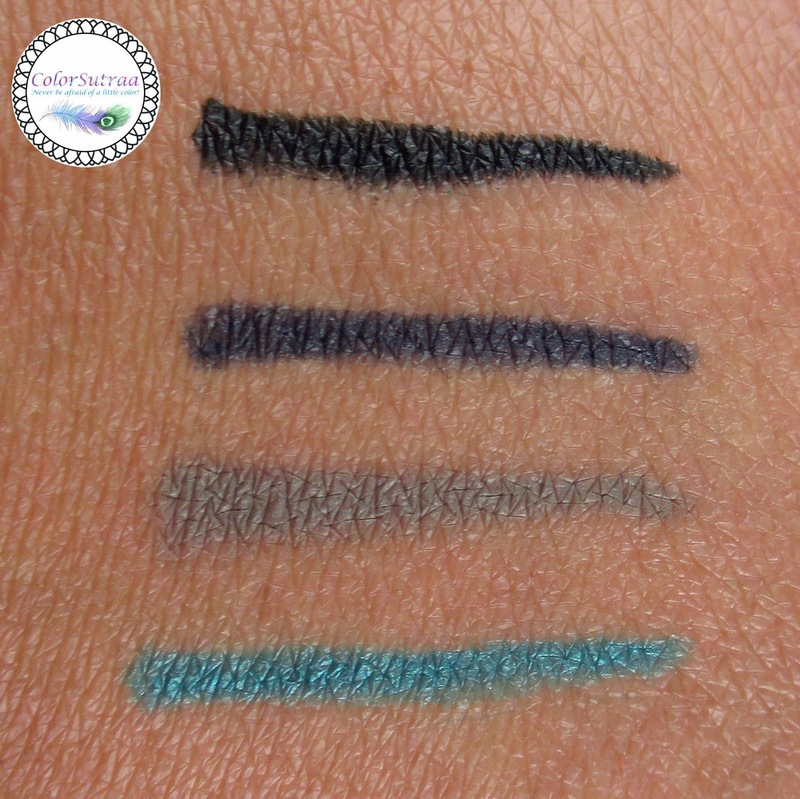 Because these are pretty darn good eyeliners for the price--richly pigmented, quite blendable and doesn't make a huge runny mess in the heat or when you're sweating up a storm in your favorite club. Best part? The sheer range of colors at such an affordable price. My fave of the new four? Definitely Jet Black and Tantalizing Teal. 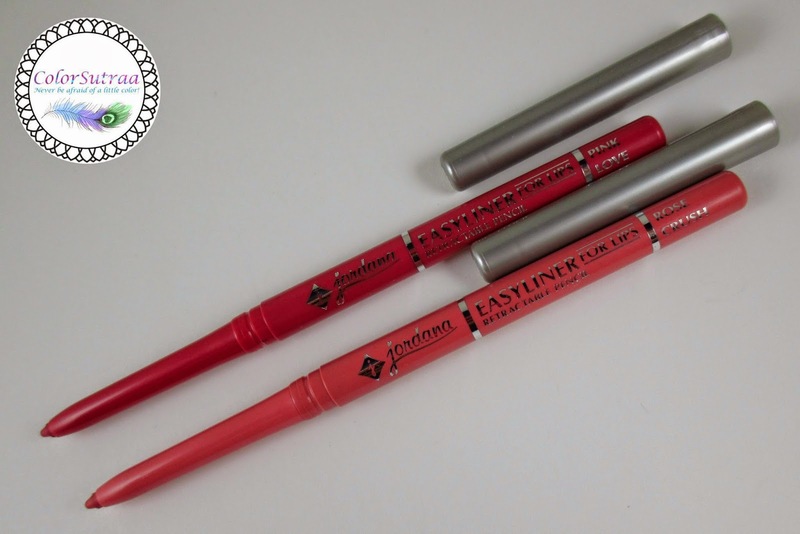 IMPRESSIONS : You know what my biggest pet peeve about lipliners is? That they are too rough! I mean, lips are sensitive and there's nothing worse than bruising the sodt skin around your lips. Well, I don't think you'll have that problem with these! These are super soft and just as pigmented as the Easyliners for Eyes. Being retractable, it takes away the hassle of sharpening or breaking your liners. And my fave of the two? Definitely Pink Love! So there you have it, my darlings! If you would like to add any of these new Easyliners to your stash, you can find the Easyliners for Eyes or Lips on Jordana Cosmetics' online site HERE for the amazingly affordable price of $1.99 each! You can also find them at select drugstore/retailers such as CVS, Walgreens and Duane Reade. Please remember to follow Jordana Cosmetics on FACEBOOK and TWITTER for all the latest news and updates! Which of these pretties are YOUR favorites? Are you planning to add any of these to YOUR stash? I'd love to hear from you in the comments section below!